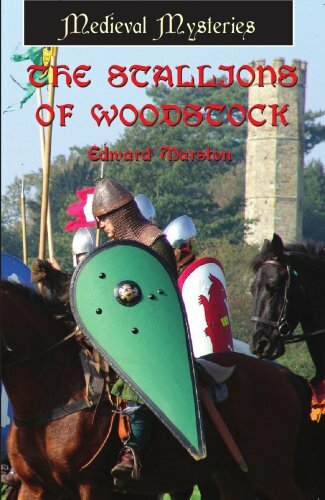 Three powerful Norman lords and a dispossessed Saxon thegn watch their steeds race close to the forest of Woodstock, each lusting for a win. But the first horse past the post has an empty saddle and his rider is lying in a copse with a knife in his back. Ralph Delchard and Gervase Bret, Domesday commissioners on behalf of the King, are guests of the Sheriff of Oxford while they settle a land dispute. But soon their attentions are focused on a stretch of grass outside Woodstock where a murderer's secrets are to be found. The solution will not be easy; from the powerful lords with their dynastic ties, to the downtrodden Saxons, living beneath the heavy Norman yoke, Oxfordshire is teeming with malice, hatred and struggles for power, and more than one man has reason to wish the rider of the black stallion unseated from his horse. But who would go as far as murder?